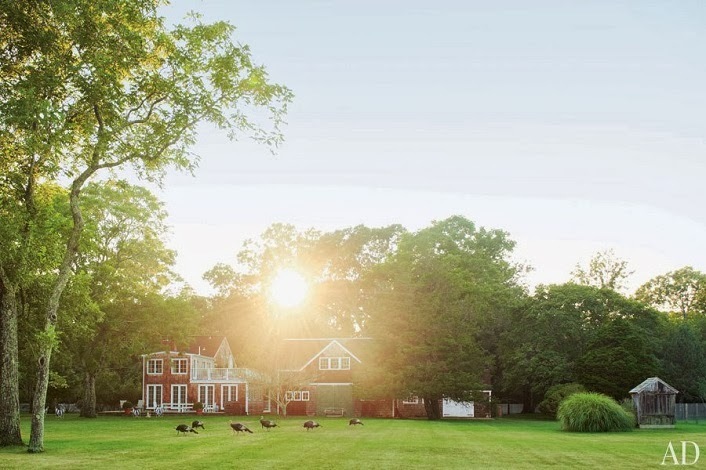 i fell pretty hard for cindy sherman’s eclectic farmhouse, as featured in AD. i don’t know that i could live in a home this color crazy 24/7, but i’d certainly stay here for a few nights, and take all that texture in. 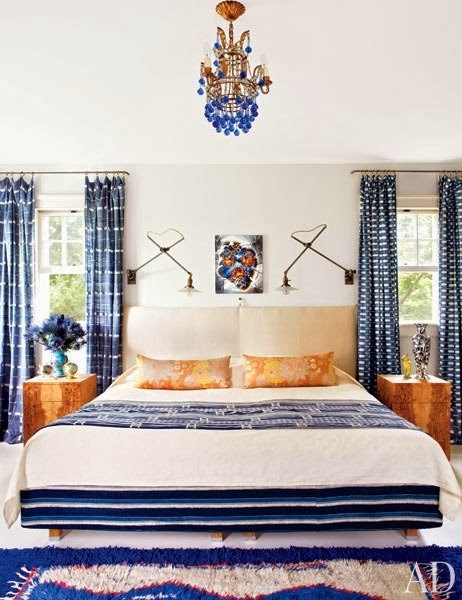 the space offers some serious inspiration in the form of layered, funky, bohemian patterns, and how to mix them all together. the sunroom below is so cozy and so chic. i love all the eclectic upholstery – the warm, natural wood of the walls and the bright light shining in from the windows allows for some crazy pillow mixing. meanwhile, the kitchen is actually quite ‘normal’, so to speak. 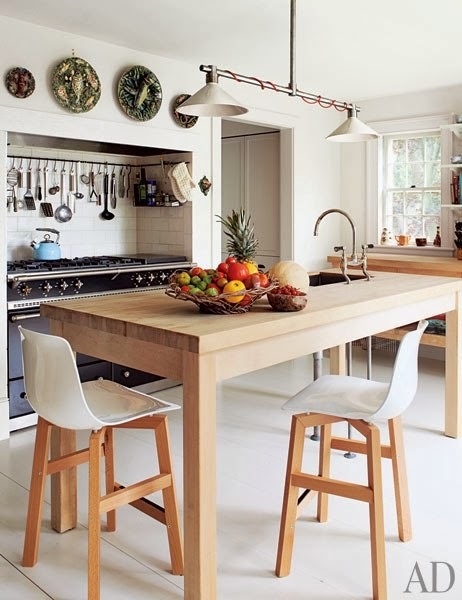 a butcher block island is all clean lines, and is complimented by high, breakfast bar style modern seating. a farmhouse kitchen in all its glory, this room is. i die for this dining room. 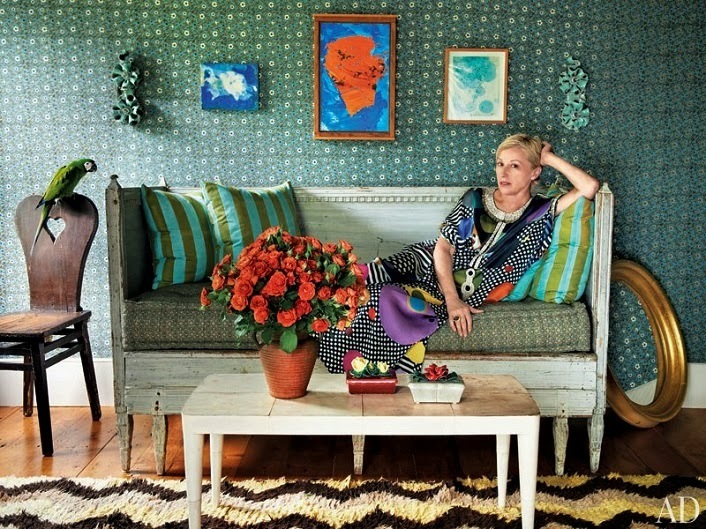 here is where the patterns get reigned in, and a simple color scheme does all the talking. 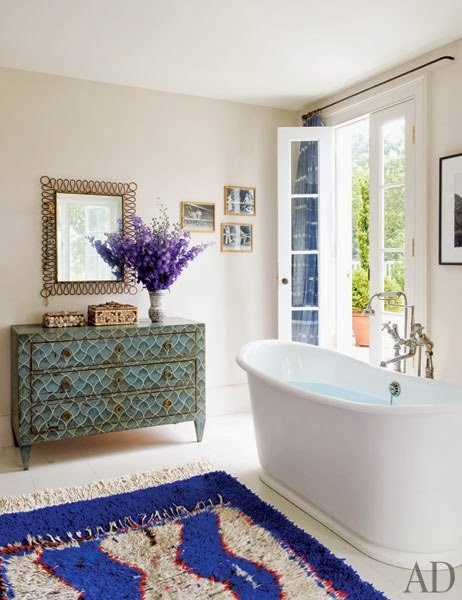 this room is proof that simple blue and white can make magic. love that regency style chandelier, especially when mixed with fun, funky embroidered chairs, chinoiserie wallpaper and an antique wood table. simple, yet oh so chic. 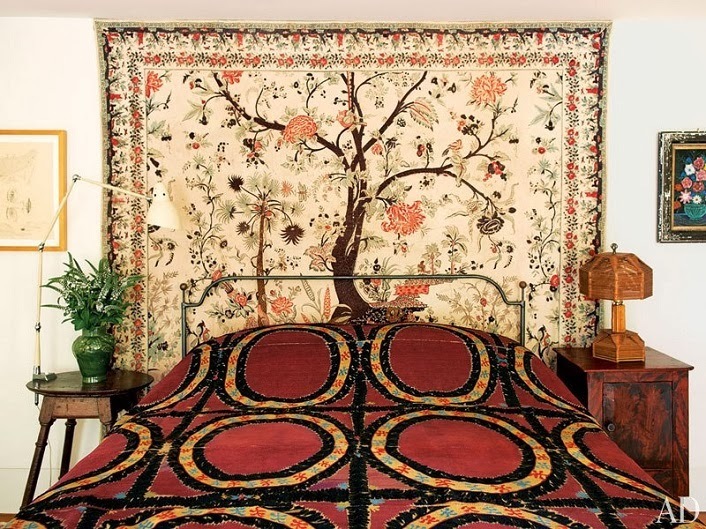 meanwhile, the master bedroom is the stuff of dreams. marled wood side tables bring the outdoors in, while the blue and white theme continues, this time, peppered with bronze and gold accents. how awesome are those scones? love. i mean, i would take a bubble bath in here. i would take nine million bubble baths in here. who wouldn’t? this is the one room i don’t love. the colors and patterns together just aren’t working for me. but hey – you win some, you lose some.